The band have offered to make up for an attack suffered by a 16-year-old fan at a recent gig in Cork. 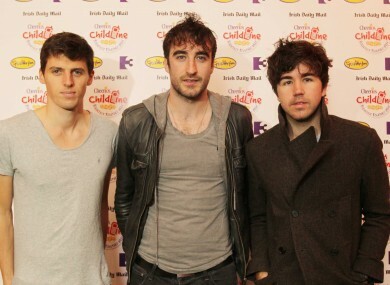 IRISH ROCK DARLINGS The Coronas have shown that there’s some heart behind their music after a fan was attacked at one of their gigs. 16-year-old Erin Kelleher was attacked by a man after she accidentally bumped into his partner at the bands’s gig in Cork’s Marquee venue last Friday. The man crushed the can he was drinking and swung it at Erin several times giving her a bad gash to her forehead for her troubles. Following an interview to talk about her ordeal with Cork’s Red FM the band themselves got to hear of what happened – and they promptly offered Erin complimentary VIP tickets and accommodation to their Galway gig next month. Lead singer Danny O’Reilly then called Erin personally with his band’s idea of compensation – and it’s safe to say she was thrilled. Turns out there is room for good guys out there after all. Email “The Coronas have come up trumps for one of their fans”. Feedback on “The Coronas have come up trumps for one of their fans”.